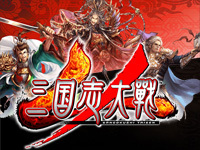 Sangokushi Taisen (Romance of the Three Kingdoms War) is out in Japan today. This new strategy card game replaces Sega's previous one released in 2005 that operation ended in 2015. The game principle is still the same: the player moves his card on the table and the action is reproduced on the screen. But for the first time, the cards are printed on both sides and each side has a different effect. There are different skills to level up. Card illustrations are made by famous mangaka and illustrators and voices are recorded by popular voice actors. 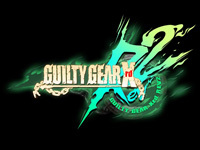 The second new feature is the possibility to play online with players from other arcades! Sangokushi Taisen also features a new live screen. Pix'n Love #30 was released a few days ago, a good idea to spend a good time reading it during the Christmas holidays! This issue includes a 10-page feature named "Altered Beast, chronic of a myth". This topic has been prepared with the exclusive collaboration of Altered Beast supervisor Makoto Uchida who shared memories and plunges the reader into the atmosphere of Sega studios in the end of the 1980s in order to describe the birth of this classic arcade game. Another title from Sega is also featured in this issue: Ribbit!, an action game with frogs released in 1991. About console games, there's a very good article about the making of The Legend of Zelda, which turns 30 this year, a making-of Super Mario Bros. 3 and an article about Terraforming, a shoot'em up released on the PC Engine in 1992. Pix'n Love also offers articles about computer games: Overdrive, released in 1993 on Amiga and Skate Ball, a futuristic sports game released in 1989 on different platforms. 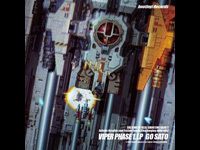 The hardware issue is devoted to the genesis of the Mega-CD, the CD device of the Mega Drive. On the personalities side, the reader can find a portrait of Thierry Perreau (Flashback, Cruise for a Corpse, Moto Racer,...) and an article about composer Manami Matsumae (Mega Man, Dynasty Wars, Final Fight,...). 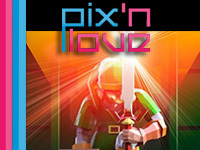 Pix'n Love #30 is available in 2 editions: standard and exclusive with a The Legend of Zelda special cover. The simple edition can be purchased on Amazon.fr. The book is in French language only. Surprise release at iam8bit! 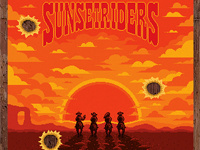 Here comes the soundtrack of Sunset Riders composed by Motoaki Furukawa (A-jax, Super Contra, Gradius II, Xexex, Guitar Freaks, Drum Mania, ...). Why now? Because Konami's famous far west game was released 25 years ago (more precisely in September 1991)! The 24-track OST is published on a transparent 10" vinyl with a smoky effect. The cover artwork is made by artist Drew Wise in a pixeled style and bullet holes cut out in the sleeve. This record is now available for pre-order on iam8bit website. It costs $22.00, 1000 copies will be produced and will be shipped in the second quarter of 2017. You can listen to 4 tracks of this album on Soundcloud. 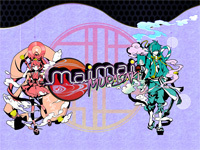 The new maimai game is available in Japan since yesterday. This time, Sega chooses the purple color as the main color of maimai MURASAKI. A new music category named "Banquet Hall" appears. This category includes various musical notes that have been "tastefully" prepared by the developers! New event courses in colloboration with other games or anime will be added one after another. The first one will be TÄ“kyÅ« course and Border Break course. 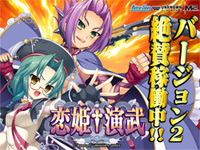 maimai MURASAKI also features 10 new songs, plates, frames and icons. Wangan Midnight Maximum Tune 5DX Plus is released in Japan today. This big update includes 2 new car brands: Honda and Lamborghini. The long-awaited cars from Honda are the NSX (NC1) and the NSX (NA2). On Lamborghini side, players can try the supercars Aventador LP 700-4 and Countach LP 400. A new course is added: the Hiroshima Expressway. This is a course with a varied route running throught Hiroshima's city center and its suburbs. There a various areas such as urban area, harbor area, huge junction, residential area, maritime road, industrial area and mountain section. Players can now win stamps by fighting against opponent. 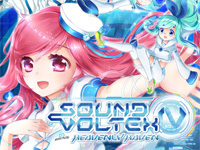 New BGM from Yuzo Koshiro are also available including 3 vocal songs. Bandai Namco added other interesting new features: friend invitation, online battle with foreign player, event mode revision (entry system by tagging card, 2vs2 battle system). 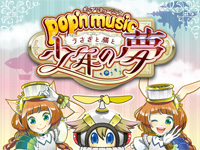 Konami celebrates popâ€™n musicâ€™s 18th anniversary with the release of a new game today: pop'n music Usagi to Neko to Shounen no Yume (The rabbit, the cat, and the boyâ€™s dream). This new title brings new characters, musics and features. A new interesting character is Navi-kun (CV: Ayumu Murase), a supporting character for the player's navigation, he also helps the new players. Navi-kun changes to various forms according to the play style. On the gameplay side, a new object "Long Pop" is introduced: it's a hold note that the player keeps pressed down.